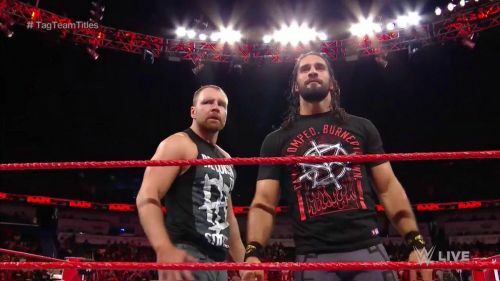 Amidst the reunion of the Shield this past Monday on RAW, the meta-narrative of Dean Ambrose's departure allowed for a genuine moment of reflection between him and his brother Seth Rollins. The Architect termed the Lunatic Fringe as his 'Wrestling Soulmate'. In other words, Rollins sees Ambrose as the person who brings out the best in him whether they wrestle against each other or as a team. Wrestling Soulmates thus are two opposing performers/teams who will forever be tied to one another, no matter the trajectory of their careers. This doesn't mean that they are a tag team or ever even teammates, it also doesn't mean that they have the best matches against each other. Wrestling Soulmates both define and transcend the very concept of rivalries and teams in pro-wrestling. These are forces who gravitate towards one another regardless of circumstance or their relationships. In many ways, these are both equal and as different as chalk and cheese. They are from Ricky "The Dragon" Steamboat and Ric Flair to Mitsuhara Misawa and Toshiaki Kawada. They've emerged and evolved through generations from Terry Funk and Mick Foley to Trish and Lita, including many in today's era. However, they are not Randy Orton and John Cena to Pentagon Jr. and Fenix. Good to great matches and extensive rivalries or team-ups don't make wrestling soul mates as much as that connect does, one's the audience can always bask in. Here are ten such match-ups that define the term wrestling soulmates for the modern era. The modern-day mantra of 'Fight Forever' means that there's a lot of extended rivalries across the years and promotions that have defined individual Superstars. Yet great rivalries in quantity or quality don't always result in the opposing individuals/teams being soulmates. It takes a lot more. Even then, there is still a few of showdowns that have earned the tag of wrestling soulmates but just couldn't make the final cut. Becky Lynch and Charlotte Flair: Best friends out of the ring, Lynch and Charlotte have teamed up and competed against each other several times. 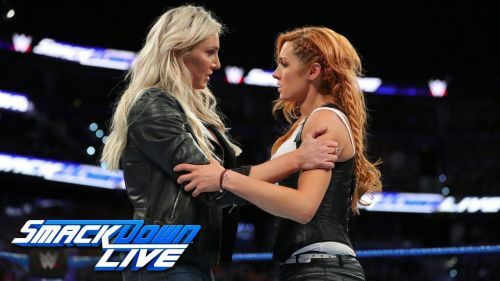 They tie together perfectly yet despite WWE's current narrative path with the duo, it seems doubtful that even with their presence at the top of the Women's divisions they will always tie back to each other, unlike another horsewoman pairing. Adam Cole and Kyle O'Reilly: The former Future Shock teammates and current Undisputed Era factions brothers have a long and storied history, yet it isn't one that has anything unique to it. It especially doesn't hold a candle to other soul-mates simply on the basis that it is quite obvious despite his talents, that Kyle O'Reilly won't supersede Adam Cole as a big-time singles star. Kairi Sane and Io Shirai: Undoubtedly from their time in the independents at STARDOM to NXT, Sane and Shirai have made their name individually but whether it's as rivals or budding faction mates as Threedom and now as the Sky Pirates, their dual signing by WWE and renowned best friendship makes these two eternal soul mates for life. There undoubtedly a lot more wrestling soul mates and the vagueness of the term means that there is a lot of debatable pairings missing from the list as well as in it. So let's check out the top ten. On a pure wrestling basis, if anyone were Daniel Bryan's soulmate it is either Nigel McGuiness or CM Punk. Yet if we're strictly speaking in the context of the modern era then no one embodies this better than the Miz. Focusing much more on the idea of the soul mate encompassing everything in conflict and mirroring each other, then Daniel Bryan and The Miz fit perfectly together. The brash cocky reality TV breakout The Miz is just as much a contrast to the indie purist and headstrong Daniel Bryan, as they are compatriots thanks to their distinct egos when it comes to the squared circle and performance art. 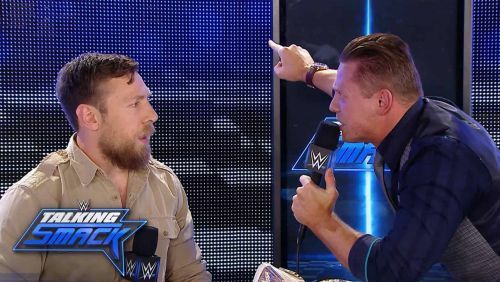 Ever since Daniel Bryan joined WWE, ironically as The Miz's protege; the two men have mirrored each other in both rise and fall and all else. Their rivalry regardless of alignment though always restricted to Miz as the heel (so far) is a symbol of the different voices in pro-wrestling between management and fans. Yet it goes beyond this, as The Miz and Bryan challenge each other's notions and values to the point of the extreme. The two are a fascinating pair, often finding their way to each other even when Bryan couldn't compete.